The global smart healthcare market is foretold to see expansion on the back of increasing integration of IoT to provide better treatments at improved costs. The IoT integration has created a whole lot of demand for smart healthcare products for a wide range of services such as elderly care, fitness programs, chronic diseases, and remote health monitoring. North America is anticipated to witness larger growth in the market due to the steady entry of SMEs. The need to deliver high-quality patient care has increased the integration of IT with smart healthcare products. In order to provide continuous patient care to people with chronic diseases, healthcare providers are significantly adopting remote health monitoring services. On the basis of consumption, Asia Pacific could rank higher in the global smart healthcare market. Using economic growth and government support, the emerging region is quickly heading toward digitalization of healthcare services. This could be another factor pushing the market growth of the region. Inventory management is envisaged to emerge as a faster-growing application of smart healthcare. It could gain traction while riding on the rising use of advanced RFID smart cabinets and solutions in the healthcare industry. The need to exchange and record massive volumes of data is foreseen to propel the demand for smart healthcare products in inventory management. Beside electronic health records (EHR), smart pills could dominate the global smart healthcare market in the coming years. This could be due to their swelling demand in the healthcare industry. Merger and acquisition, joint venture, and product innovation could be some of the top business strategies adopted by players in the global smart healthcare market. The presence of a large pool of companies in the market is predicted to extend the scope of the availability of new products in the industry. Of late, the global market for smart healthcare has been registering a significant rise, thanks to the increasing uptake of information technology in the medical and healthcare industry. The increasing awareness about the benefits of smart healthcare solutions, such as speedy recovery and shorter hospital stay, is likely to boost the growth of this market in the near future. 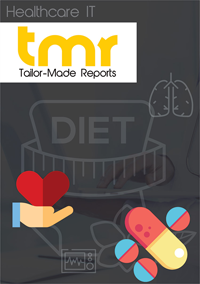 This market study is an analytical research of the performance of the global market for smart healthcare in past and during the period from 2017 to 2025. The research especially emphasize on the market boosters, growth barriers, challenges, opportunities, and the prominent trends in this market in order to determine its future status. The global market for smart healthcare is projected to observe an exponential growth over the period from 2017 to 2025, thanks to the rising demand for efficient and advanced healthcare products. The increasing integration of Internet of Things (IoT) with medical products and services is rewriting the definition of healthcare products utilized for advanced and effective treatments at lower costs. The support from a number of government initiatives is also aiding in increasing the overall growth of the market for smart healthcare across the world. However, factors, such as the high cost of smart healthcare products and services may hamper the growth of this market over the next few years. In addition to this, the requirement of large capital investment in the initial stage is also projected to act as a restraints in the growth of this market in the coming years. Among the products available in the global market for smart healthcare, the demand for smart pills is significantly high. Researchers at TMR Research expect this trend to remain so over the next few years. Electronic health records are also expected to witness a steady rise in their demand in the years to come. Smart healthcare solutions find extensive usage in inventory management and this scenario is likely to remain same over the forthcoming years. On the basis of the geography, the worldwide market for smart healthcare records its presence mainly across Latin America, Asia Pacific, Europe, North America, and the Middle East and Africa. Latin America is led by Brazil, Mexico, and Argentina. The U.S. and Canada are the most prominent domestic markets in North America. In Asia Pacific, China, Japan, and India have acquired the leading positions and, in the Middle East and Africa market, North Africa, GCC, and Southern Africa have surfaced as the prime domestic markets for smart healthcare. Europe is dominated by France, the U.K., and Germany as its key domestic markets. The global market for smart healthcare has been demonstrating a highly competitive vendor landscape. The presence of a large pool of players has intensified the degree of competition between them. Accenture is the global leader in this market. Other prominent vendors of smart healthcare across the world are CapsoVision Inc., Terumo Corp., Epic Systems Corp., Stanley Healthcare, Allscripts Healthcare Solutions Inc., TAGSYS, Becton Dickinson and Co., Medtronic, Olympus Corp., and eClinicalWorks. With new players continuously entering the market, the competition within the market is likely to intensify further in the near future.